Thank you to my friend Sanay for sending over these Indian fountain pens for review! 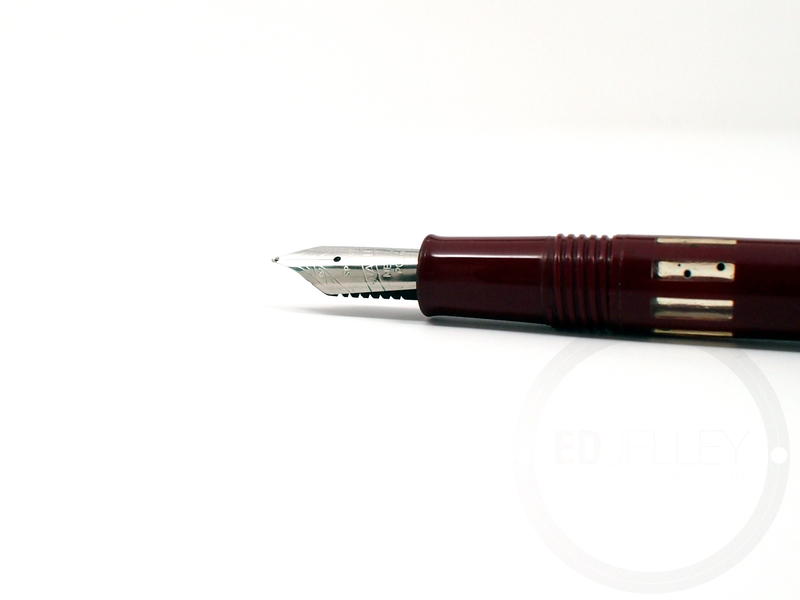 This particular pen is a piston filler with a steel medium nib. THe pen was made in India, and hand smoothed by Sanay. The Wality has classic 1940s-era fountain pen styling, and is a decent writer, especially given the price. 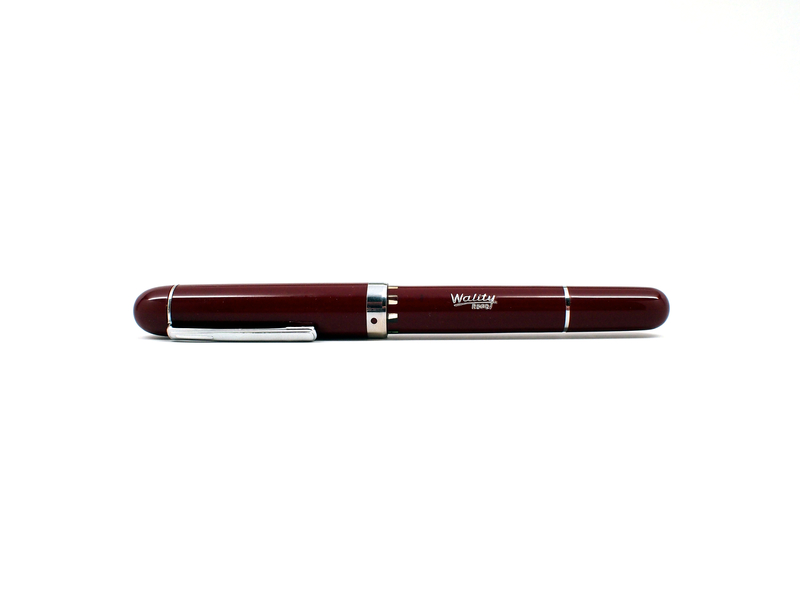 The Wality is a nice looking pen. It’s got a decent size and feels great in hand. I particularly like the shape of the nib, it’s similar to the softer shouldered Pelikan nibs. 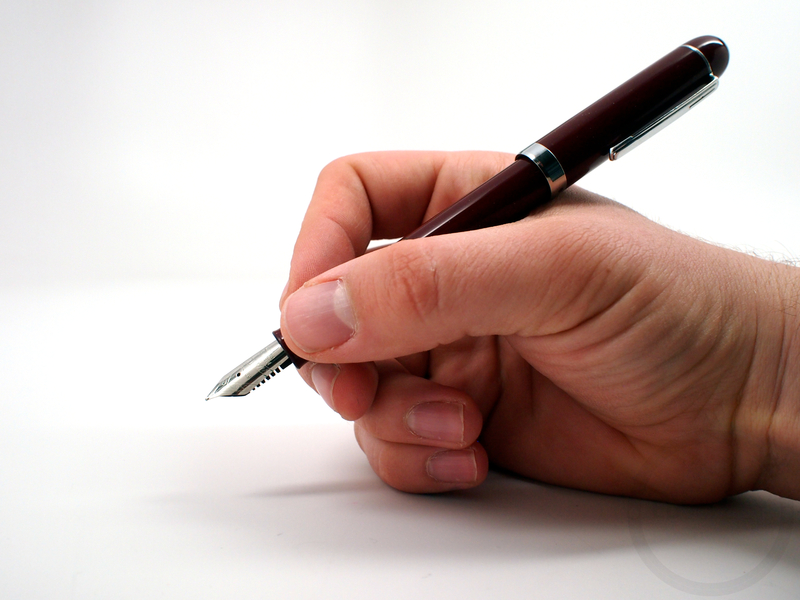 There are clear ink windows in the body of the pen. The color scheme is nice, as burgundy is one of my favorite colors. The silver accents compliment the pen nicely as well. The finish on the pen is a bit rough, but for $9.00, it’s acceptable. The pen is made of what I believe is vegetal resin, and it’s a bit soft. This pen will get marred pretty easily if carelessly thrown in a bag, or put in your pocket with keys or some change. It’s not a bad looking pen, but the $9.00 price tag more than makes up for its shortcomings here. Sanay smoothed the nib by hand, and it’s a nice writer. The ink flow is good and the steel nib writes nice and smooth. 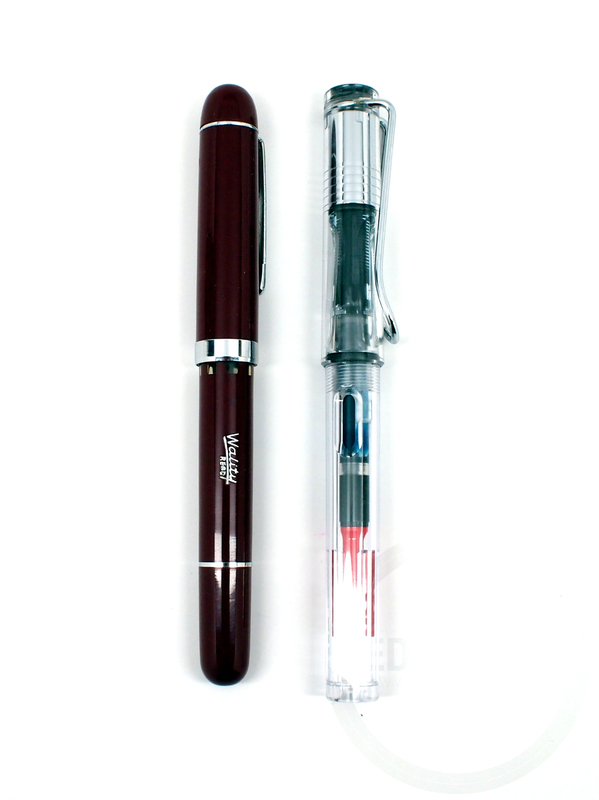 The pen is a piston filler, similar to the Noodler’s Konrad. The piston is nicely greased and does its job without fuss. The ink reservoir is large, and the piston action makes it easy to drink up a whole bunch of ink. The steel nib is not the best I’ve ever written with, but it’s certainly not the worst. The Wality falls somewhere in the middle of the spectrum, and it’s probably in the upper tier of its price range. Size-wise, the Wality is a good fit for my hand. The grip is comfortable and a nice diameter. The finish of the pen is okay at best, and could benefit from a few minutes under a buffing wheel. 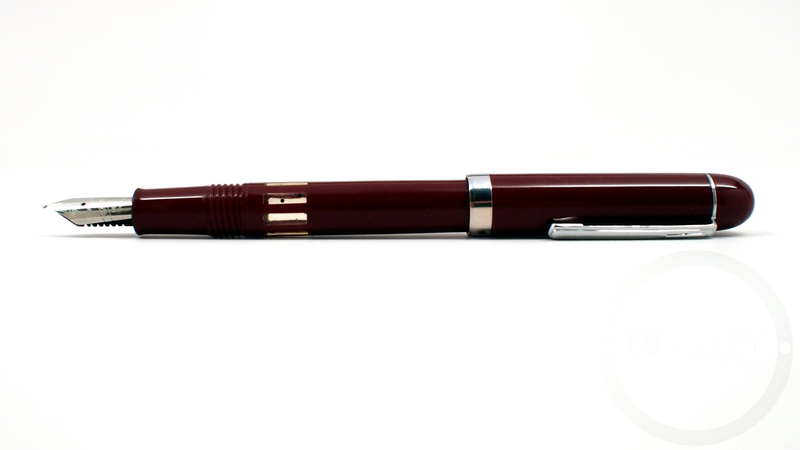 The weight and balance of the pen are both good, even when posted – this is due in part to the light weight of the cap. The piston knob turns nicely, but be careful when posting the cap. The cap posts on the piston knob and if you are not careful while removing it, there can easily be an ink spill (see the handwritten review…). Also worth noting is the unique and distinctive smell of the vegetal resin. If you’ve ever had a Noodler’s pen, you’ll know EXACTLY what I’m talking about. I’m happy to report that it does fade over time and wasn’t nearly as intense as Noodler’s offering. The standout detail on this pen is the shape of the nib. Overall, for $9.00, it’s certainly not a bad deal. The nib performs well, and the piston filler system works great. Thank you to Sanay for sending the pen over for review!  Be on the lookout for his website in the near future to get some hand-smoothed Indian pens for yourself! Disclaimer: This pen was provided to me as a review unit, free of charge, by Sanay Shah. I was not compensated for this review, and this did not have any effect on my thoughts and opinions about the pen. Thank you for reading!